We currently only offer in-store pickup at this location. K9 Advantix® II is a convenient monthly topical application that kills and repels fleas, ticks and mosquitoes. It's specially formulated for dogs with imidacloprid, permethrin and pyriproxyfen for broad spectrum protection against these ectoparasites that can transmit diseases. K9 Advantix® II is for use on dogs 7 weeks and older and weighing 4 lbs. or more. K9 Advantix® II kills fleas, ticks, mosquitoes and lice, and repels biting flies. And because it works through contact, there’s no biting required. 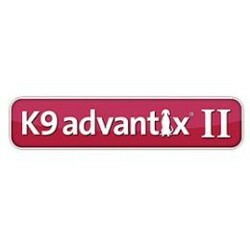 Do not use K9 Advantix® II on cats.